A native of Ostrava, cello donated from her childhood in the School of Music of William Petrželka in Ostrava. As a member of the Student string orchestra and string trio achieved some success - 1st prize and the title of absolute winner radio and television competitions Concerto Bohemia (2000 ) , 1st Prize and Special Jury Prize in the National competition Music School (1997 ) . In the years 1994-2000 the annual competition participated in chamber music K.Ditterse of Dittersdorf . Two years ago she took part in an international internship at the Haydn Conservatory in Eisenstadt , Austria . Studies with a master's degree from the University of Performing Arts in Bratislava , under the guidance of prof . Joseph Podhoranského . In addition to the trio Inflagranti operates in the orchestra of the Slovak National Theatre in Bratislava and concerts with orchestras like Sinfonietta dell'Arte or Viva musica . Here iumělci worked with leading Czech and Slovak pop music . ( eg, Jana Kirschner, Dara Dolina, Monika Absolonová , Helena Vondrackova and opera diva Adriana Kučerová ) . He is also active in the chamber orchestra I Musici del Teatro . Is actively involved in music 20.soletí and its interpretation , with a set Veni ensemble completed a European tour , she performed at the festival Melos Ethos , New Music Evenings and Janacek May . 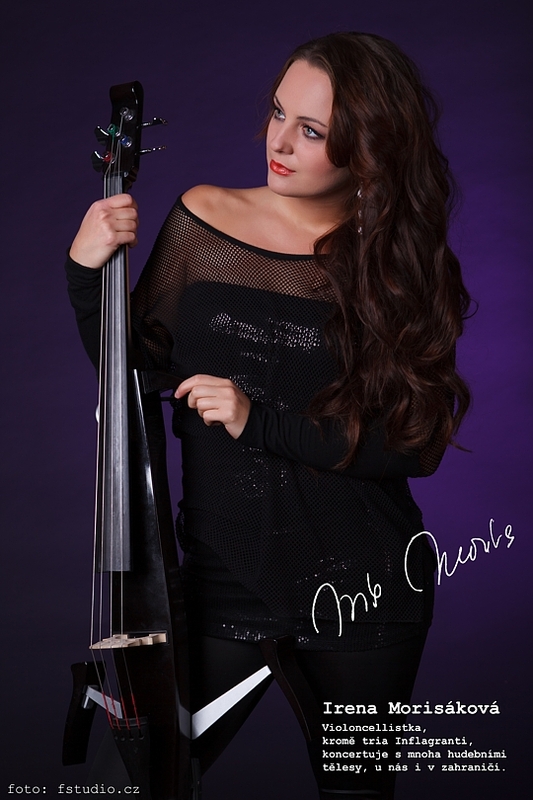 To play the electric cello inspired her most Vanesa Mae itself , with which the Slovak attended two concerts as part of her world tour .